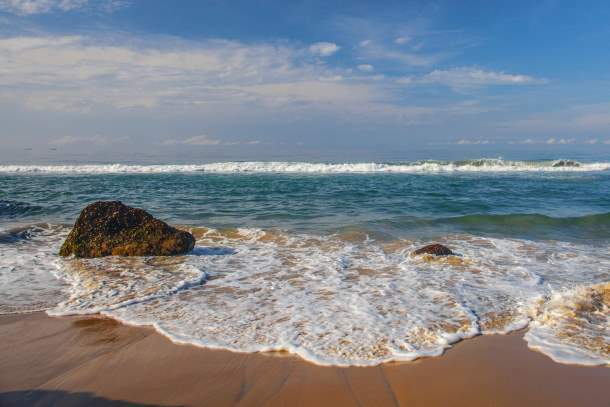 Wondering where to holiday with your loved one? Picturesque landscapes, pampering luxurious accommodation and romantic sunset dining, make for a perfect honeymoon setting, isn’t it? We suggest you book your flight tickets and travel to Kerala for your romantic break. From tea gardens and Ayurvedic massages to houseboat rides and wildlife spotting, experience nature’s beauty at its best. 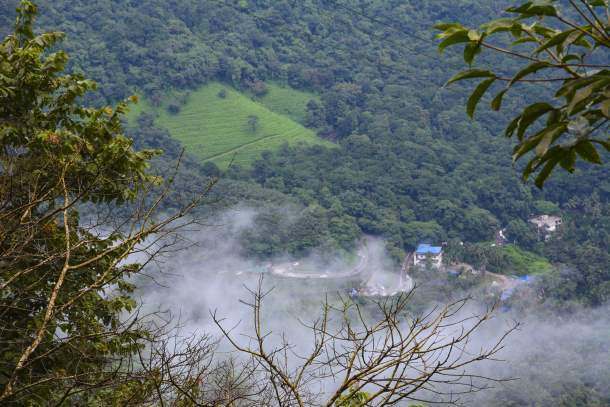 Called the Green Heaven of Malabar, Wayanad offers breathtaking views of the tea plantations. A paradise for nature lovers, you’ll be mesmerised by its high mountain peaks. The heart-shaped lake which is halfway to the Chembra Peak is quite popular among the honeymooners. Enjoy a trek with your sweetheart among the dense forests and capture shots of this perennial lake. 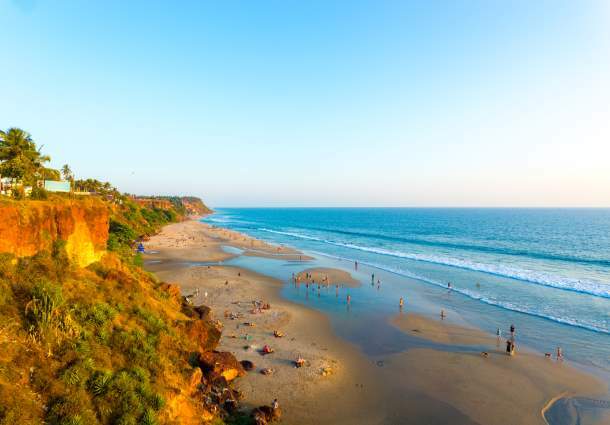 You can take a swim or enjoy long walks on the Varkala Beach aka Papanasham Beach with your partner. Catch a glimpse of the spectacular sunset while you savour mouth-watering snacks at the nearby restaurants. Visit the Shree Janardhana Swamy Temple to receive divine blessings. Dedicated to Lord Vishnu and Lord Hanuman, this hilltop temple is nearly 2,000 years old. Love wildlife? 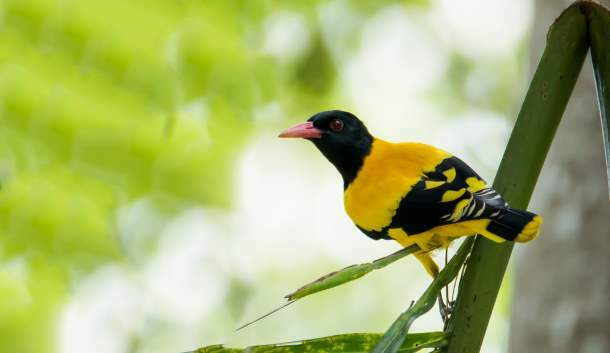 Then, Kerala will delight you with a number of wildlife parks - Kumarakom Bird Sanctuary, Aralam Wildlife Sanctuary, Parambikulam Tiger Reserve, Begur Wildlife Sanctuary, Chimmony Wildlife Sanctuary and Chulanur Peafowl Sanctuary. Head out to these parks with your better-half and unleash the (wildlife) photographer in you. 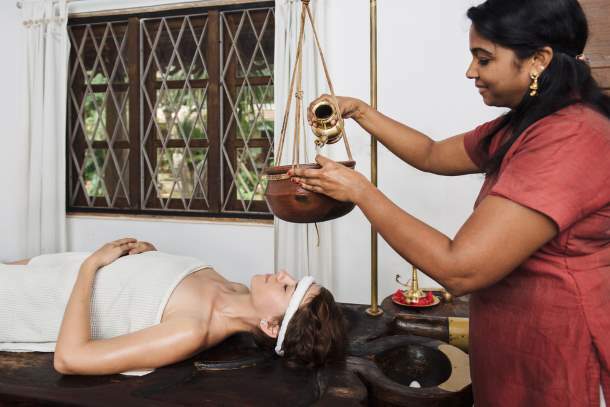 Without an Ayurvedic massage, your experience of Kerala is incomplete. Thrissur is a popular wellness centre - you can choose from the various treatments/ massages and rejuvenate your senses. It’s the perfect way to de-stress after the wedding hangover. Treat your partner with a wellness package like beauty and skin care, detoxification and general body fitness. A houseboat holiday is the best gift you can give to your loved one. 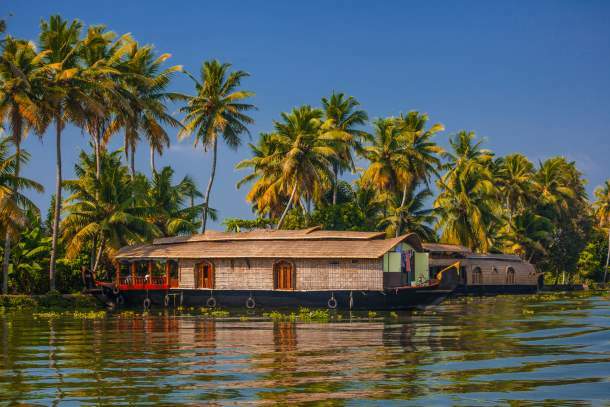 A network of serene lagoons, Alleppey is well-known for its houseboat cruises. Experience bliss while you soak in the beauty of nature and tantalise your palate with fresh food aboard the houseboat.